A classic raglan pullover gets a timely update, with a cowl neck and cropped length. 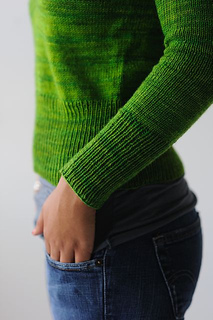 This pullover is worked from the top down, allowing you to easily add length to the body if you want. The collar is worked as a separate piece and then attached.